The Silverfaces have become veterans of this blog. This is the third EP by the band that makes these pages. The first one in 2014, last year EP II and now an EP called Death Under The Sun. Slowly but surely the Amsterdam based band grows into its own. A more mature sound is the result. The 60s are still all over the sound, perhaps more than ever as the Hammond B3 sound and Mellotron like instrumental parts become more and more a part of what The Silverfaces stands for. Somewhere in the whole there remains one band that keeps coming up: Led Zeppelin. The blues and rock part of the band and the great guitar solos. John Paul Jones was responsible for the dreamy side of Led Zep. The Silverfaces have found this well for arranging songs as well. By bringing the organ even more forward, the band aligns itself with bands like Birth of Joy, PAUW and 50% of DeWolff. Yes, there is a Dutch 60s psychedelic scene where the organ plays a huge role in. Like PAUW The Silverfaces enjoy writing a song and, at least on record, is less jam based. Over the years the band has produced several nice songs and I do not have to wait for long to discover some nice examples of its songwriting skills on Death Under The Sun. Most eye-catching is the title 'Thoughts Of You' as this song was on the first EP in 2014. In 2018 it comes in two parts. The extended version. As I have already sanctioned this song in a very positive way about four years ago, and let me reiterate it here, let's focus on the four new songs. As I wrote, The Silverfaces is able to write totally decent songs. The riff heavy 'Lazy When It Comes To Love' kicks off Death Under The Sun. The guitar is joined by the organ and together they lay down a rough little bed for the song to explode into. There's nothing lazy about the playing here. Although, despite the fire with which the riff is played, it does have a laid back element in it. So who knows? The singing reaches tremendous heights as well and totally Ronny James Dio like. Classic rock heights. Rock is left a little behind. With 'Death Under The Sun' the band delves a little deeper. The tempo is down, the melodies come in and the keyboards take over. The song has a dreamy quality. The Stangs without the obvious 60s Nederbiet associations. When the guitar solo kicks in, Jimmy Page style, I'm ascending a little bit into heaven. This is music like it is supposed to sound, beautiful, well dosed and just perfect. Perfection is taken for a ride as 'Even The Lord' "simply" continues at this level. The trumpet is a very nice addition to the song. The guitar solo another little piece of evidence how good a guitarist Jesse Koch is becoming. Short, sweet, fiery bursts or longer, extremely melodic solos. It's all there on this new EP. Final song 'Honey' starts as a Deep Purple song. John Lord returned. 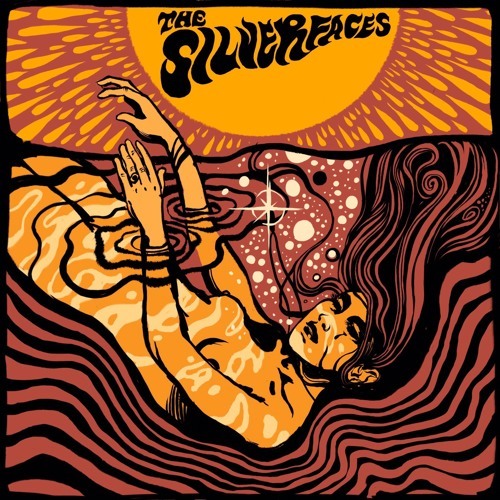 The Silverfaces lend a sound to incorporate it into its own world and sound. 'Honey' is anything but a Deep Purple song, while organ and guitar battle it out in a Lord - Blackmore fashion like it's 1970 all over again. 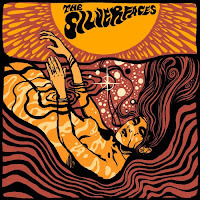 With its new EP The Silverfaces gives off new proof of their aptitude, the kind of growth a band has to reach for to become better. The fact that 'Thoughts Of You' is recorded once again with so much confidence tells the whole story. With Death Under The Sun The Silverfaces makes the right step forwards. An EP that should be able to win more hearts and souls of rock lovin' individuals in this country and far beyond.